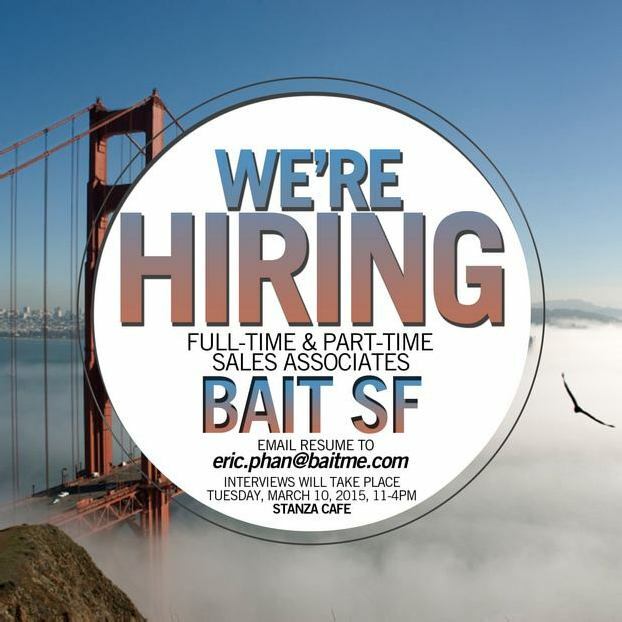 We’re currently interviewing candidates for full-time and part-time sales associate positions for our upcoming BAIT San Francisco location! Email resumes to eric.phan@BAITme.com. Candidates will be contacted and interviewed tomorrow, March 10. If you can’t interview tomorrow, still send in a resume – we are always accepting applications!